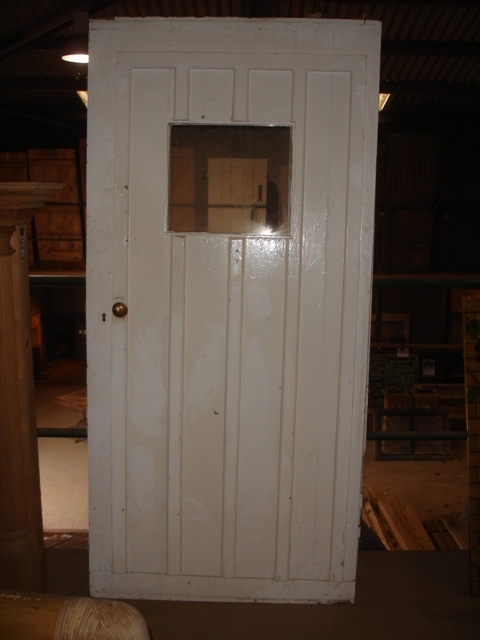 Oak Door and Frame originating from a Gloucestershire prison. The door has a steel middle. Height: 206cm (81″), Width: 83cm (32.5″), Depth: 5cm (2″) – the frame is an additional 9cm square. 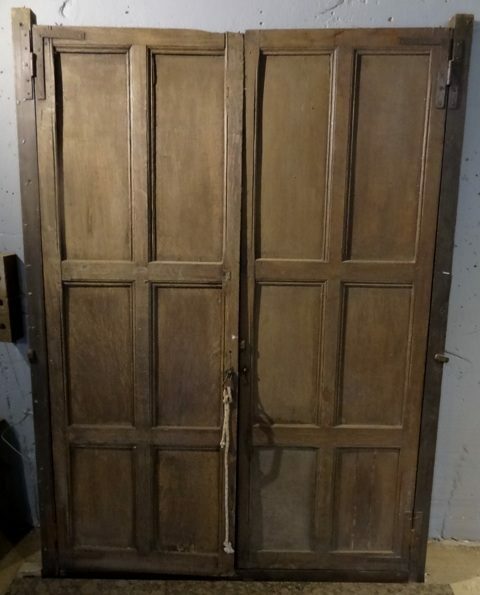 Pair of Oak Doors. 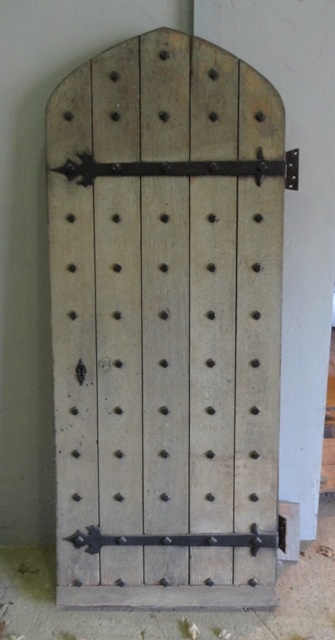 Dimensions: Height 179cm, Width of each door 64cm, Depth 7cm (total). 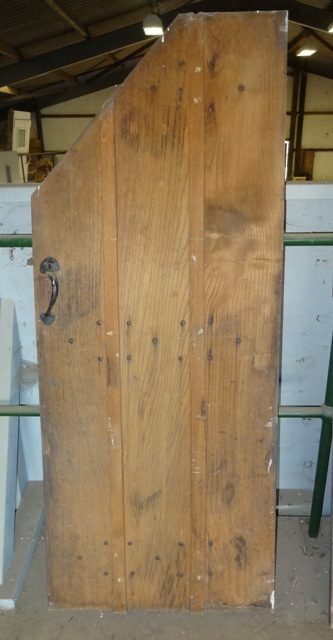 Pine Door. Dimensions: Height: 192cm (75.5″), Width: 92cm (36.25″), Depth: 2cm (0.75″). 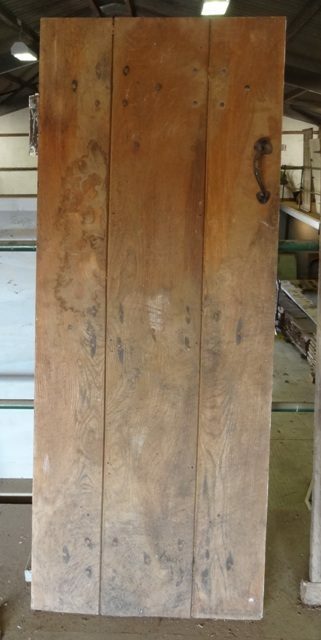 Oak Front Door in good condition. Height: 189cm (74.5″), Width: 82cm (32″), Depth: 4.5cm (2″). 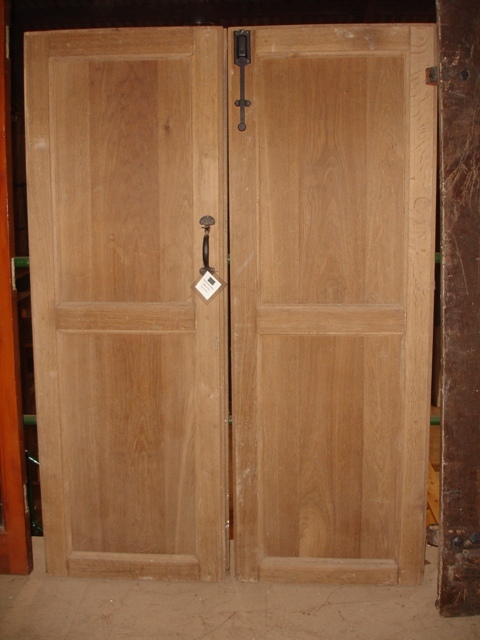 Pair of Oak Doors Height: 172cm (67.75″), Total width: 118cm (46.5″). 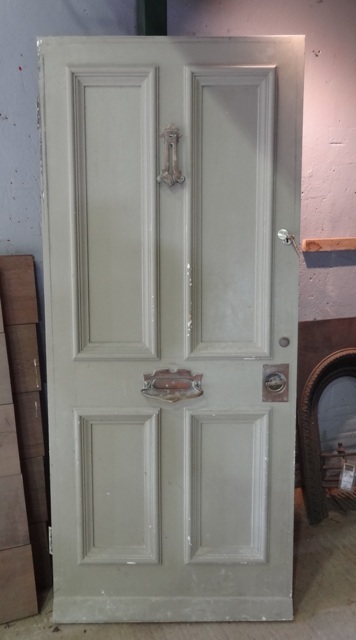 Elm Door Height; 176cm (69.25″), Width; 70.5cm (27.75″), Depth; 2.5cm (1″). 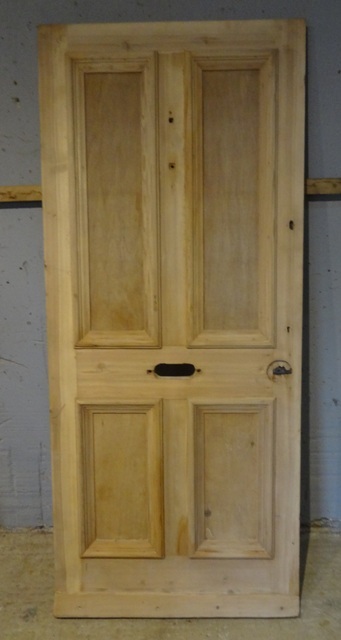 Elm Door Height; 122-166cm (48-65.5″), Width; 67cm (26.5″), Depth; 2cm (0.75″).